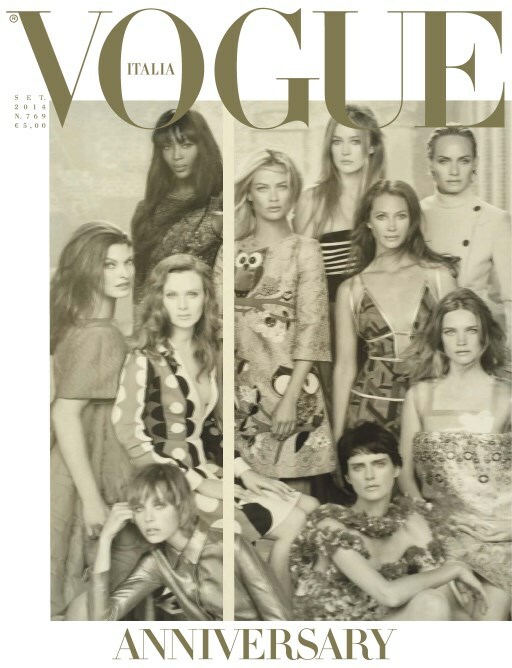 The September 2014 issue of Vogue Italia marks the 50 anniversary of the iconic magazine in Italy . The Italian edition of Vogue is famous publishing the most controversial and challenging shooting in the history of fashion. 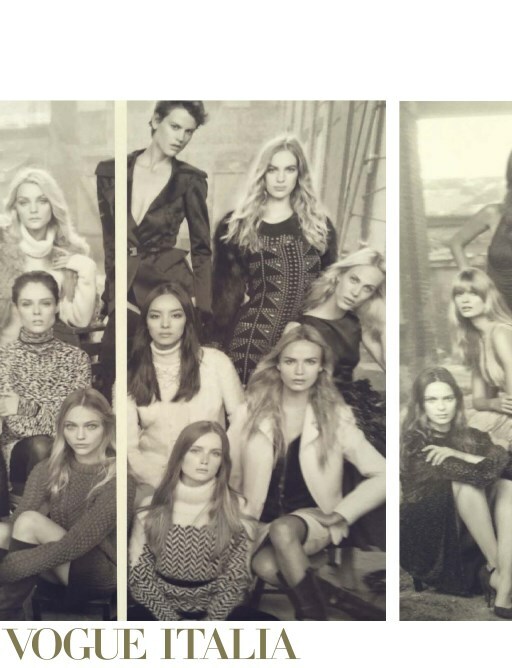 A moment like this requires an epic cover and Vogue Italia doesn’t disappoints its readers : a folded cover starring the most recognizable models of the last 20 years that graced the covers and pages of the Italian magazine so many times. The anniversary cover was shot by none other than , Steven Meisel a Vogue’s Italia favorite photographer. Oh, how much I love Vogue and this cover looks amazing! 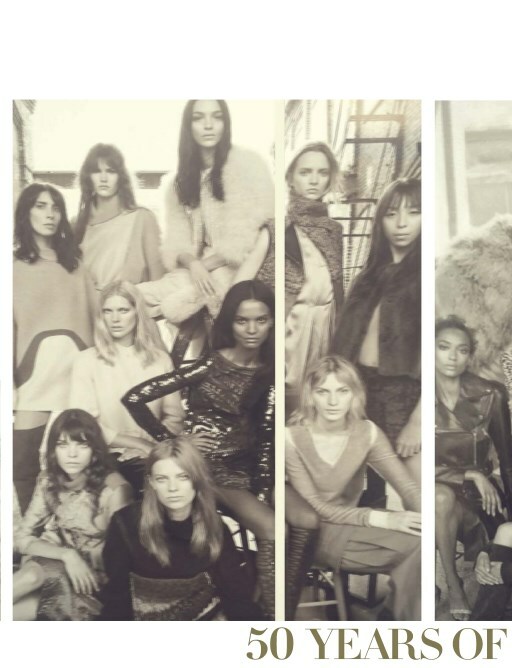 Pingback: Carolyn Murphy, Liya Kebede, Jessica Stam, Sasha Pivovarova,… - OH MY!